Where you choose to “plant” is crucial to your child’s growth, and, as a parent, is one of the most important decisions you will make. 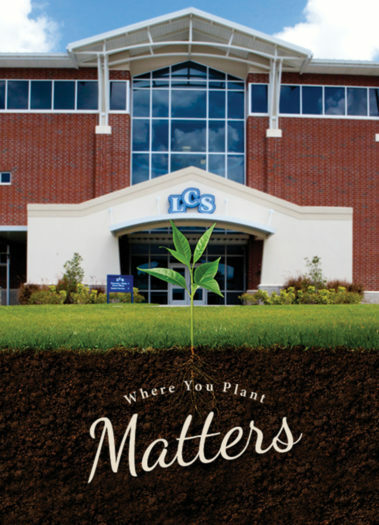 LCS offers a balanced approach to education that develops the whole student by providing solid academics in tandem with Christian values and caring teachers. Invest in the right environment for your child, and reap the lifelong benefits of flourishing, well-rounded growth. LCS caters to kids from all walks of life. LCS alumni have gone on to become doctors, lawyers, missionaries in foreign countries, research scientists, and even teachers–including some right here at LCS. With weekly chapels, teacher led bible studies and bible classes, students receive a hearty dose of Gospel-centered teaching to produce a well-balanced spiritual life. LCS prepares students for more than just the next step. We prepare them for life. Be sure to sow your seeds when danger of frost is past, covering the seeds ¼’ deep in prepared soil. Full sunlight will produce the best results. Be sure to water regularly, especially during dry periods.